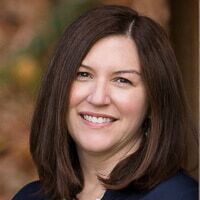 Hi, Kenarry readers! It’s Robin from A Home To Grow Old In. I don’t know what the weather is like in your neck of the woods, but we are having some unseasonably warm weather here. 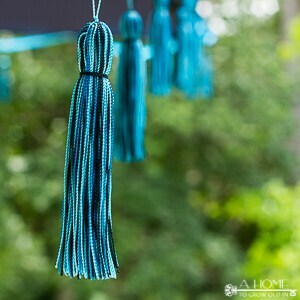 I am just yearning for Spring and anything outdoors! We made a couple of outdoor games last year, and I thought I’d keep adding to it this year with a wooden tic tac toe board. 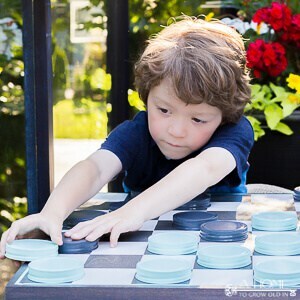 We spend plenty of time on our patio in the warmer months, so we love having lots of outdoor games! It keeps the kiddos occupied while the adults get to relax and enjoy the weather. 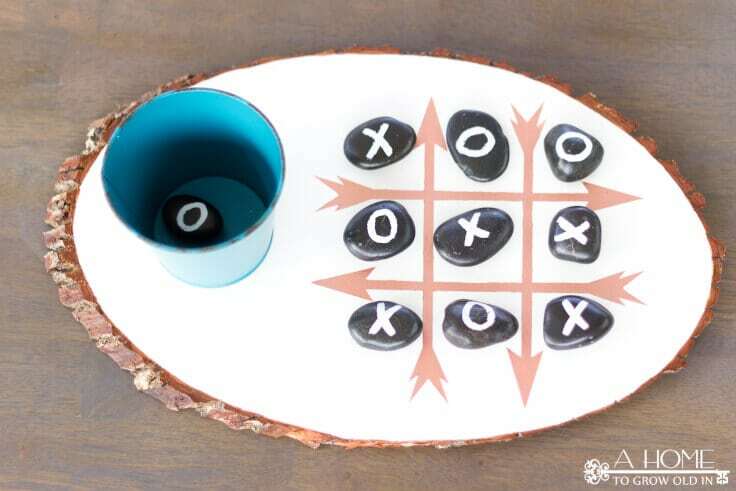 My kids could play tic tac toe for hours, and this incredibly easy wooden version is the perfect addition to our games! I’ll be honest, I can’t even tell you how long I’ve had this wood slice painted and ready to go. I planned to use it for another project that never came together, so it’s just been sitting in a cabinet until I could think of a way to use it. You can purchase smaller slices from the craft stores, but I was only able to find the larger slices online. I painted the top of the slice with a water based primer leaving just a small amount of the wood showing along the edge. I really liked it white, so I did not use any other paint, but if you want a different color background, now is the time to do it. To personalize our tic tac toe board a bit, I thought it would be fun to use arrows for the lines of the tic tac toe game. I used an image of an arrow that I enlarged to the size I wanted and printed and cut out. Then, I traced the arrow onto strips of painter’s tape. The straight edge of a ruler worked great to help guide the X-Acto knife as I cut the arrows out of the tape. 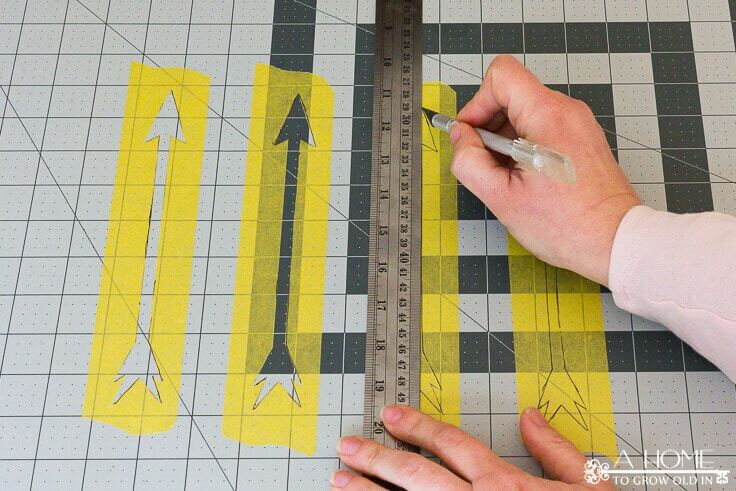 Move the strips of tape over to your wood slice and use your X-Acto knife to cut out any intersecting lines. 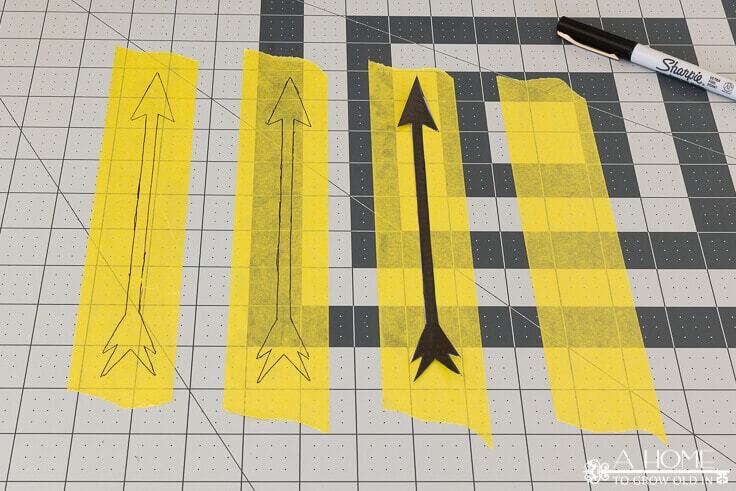 *TIP*: Place another strip of painter’s tape over the piece of tape with the arrows before you move them. It helps hold the shape of the arrow. 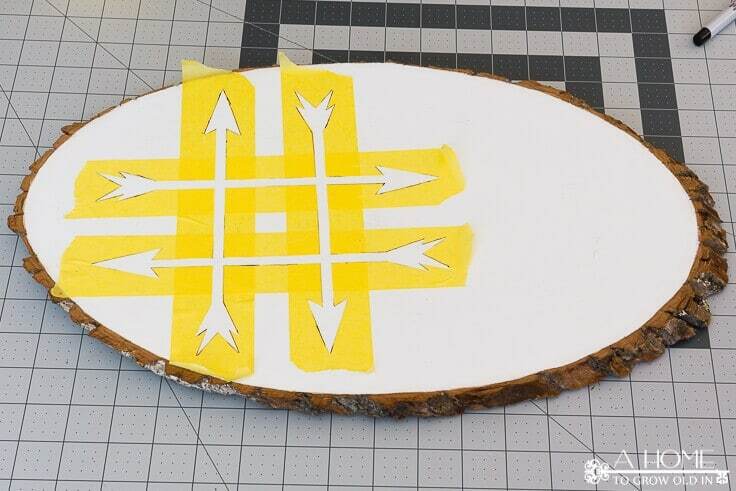 Once you have your arrows where you want them, remove the additional piece of painter’s tape. The arrows were painted in a metallic rose gold and allowed to dry for a few hours. Then, the tape was peeled off. While those were drying, I painted 5 river rocks with “X” and 5 with “O”. 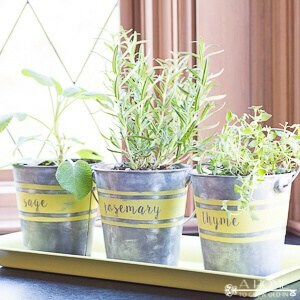 The smooth surface of the rock makes paint really difficult to adhere to, so I suggest painting it with either primer or a chalky type paint to help it stick. Once everything was dry, I sprayed both the wood slice and the rocks with several coats of polycrylic to protect them. I found a really cute metal bucket at a craft store that we use to store the rocks. I haven’t glued it to the board, but it’s something I’m thinking about doing. I thought I’d give it a little time to see how we use it before I permanently attached it. There’s a little bit of drying time between the steps, but I probably only spent a little over an hour actually working on this. 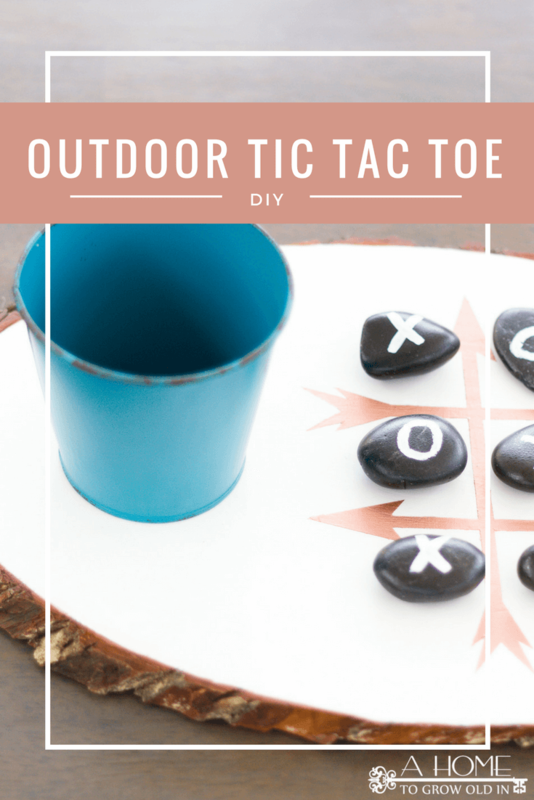 You’ll want to get started on it ASAP, because you’re sure to get a lot of use out of this tic tac toe game this spring and summer! I hope you all are enjoying some warmer weather, and I can’t wait to see you again next month! In the meantime, I would love it if you check out a few more of my posts!